As part of Assaulted Fish’s 10-year anniversary, we asked some of our closest friends, fans and families for their memories of the past decade. 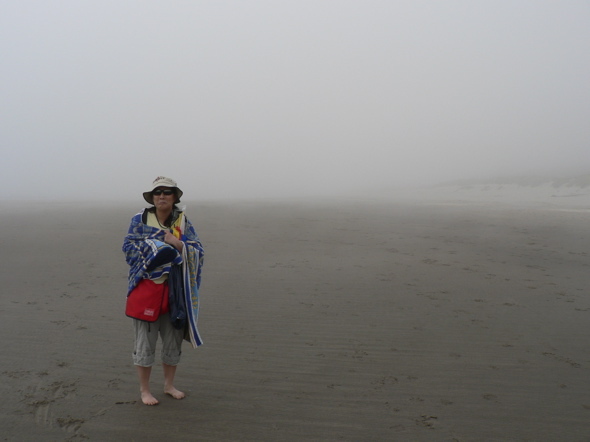 Today, our conversation with Seattle’s Maggie Lee. Maggie Lee is the lead sketch writer, as well as a performer, tech director, and panda wrangler for the Pork Filled Players, Seattle’s Asian American sketch comedy group, and designs lights, and props for many Seattle fringe theatres. She also writes plays that reflect her love of comedy, fantastical science fiction, and horror. Most recently her play The Clockwork Professor played to sold-out audiences at the Theatre Off Jackson. 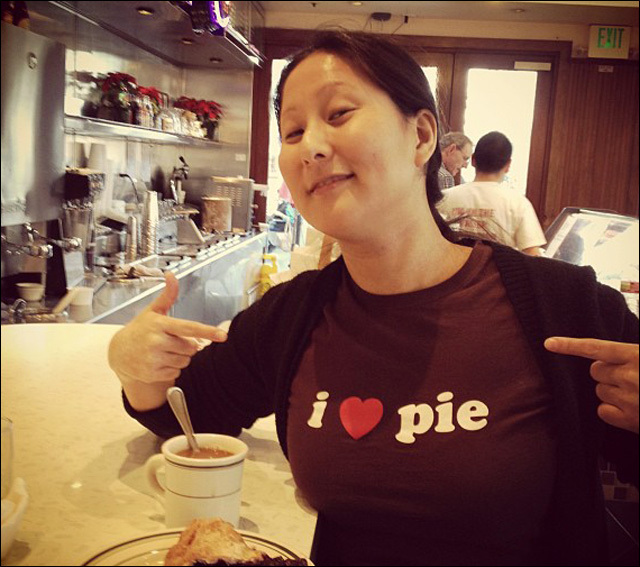 In 2011, she moderated a panel on Asian American Women & Comedy at the National Asian American Theater Conference in Los Angeles, and was featured twice in the REPRESENT! Multicultural Playwrights’ Festival Local Writers Showcase at ACT. Much to our envy, she was recently profiled on Angry Asian Man. Maggie loves pie, pirates and puppets and she hates people who step in poo (Nelson). What similarities do you see between PFP and AF? 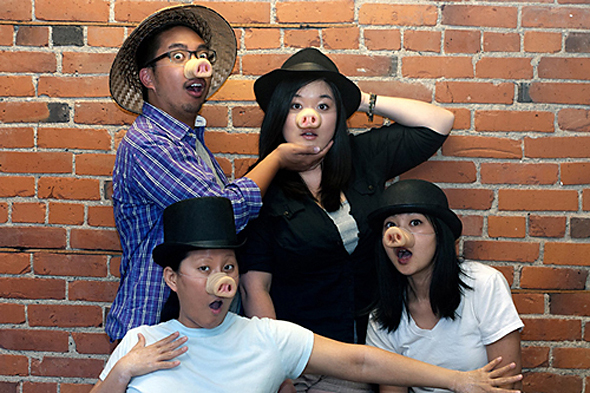 The Pork and The Fish are two Asian North American sketch groups who have been making comedy for double-digit years! 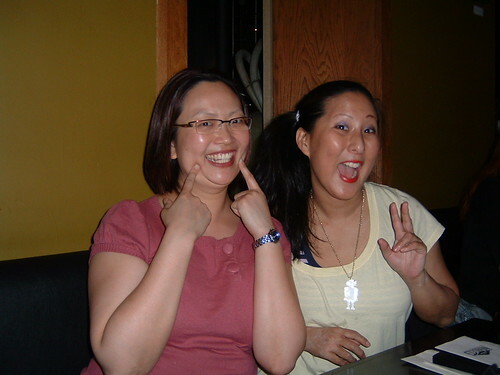 Our groups both feature 50% or more female Asian American/Canadian sketch comedians, and weirdly we both have Korean gals with giant noggins on our teams. And we both love chocolate, and backrubs, and long walks on the beach. Has the way both groups matured over the years been similar or divergent? I think the two groups have grown in the same way by moving past all the “typical” Asian jokes about crazy grandmas and stinky foods, and evolving into comedy that is more uniquely tailored to our individual strengths as writers and performers. PFP and AF both embrace a similar nerdy, absurdist kind of humor, but we express it in very distinctive ways – our comedy styles are very different, which makes it extra fun when we get to perform together. What do you wish Assaulted Fish fans knew about the group? You know that they’re funny, but I wish all the fans knew what truly awesome friends they are! We have gotten to perform with them many times over the years, and honestly you will not meet a sketch group who is more supportive and generous in sharing a stage. And if you ever need a good laugher in your audience, get Nelson – his laugh is so infectious that it magically tickles any crowd into having a great time! What do you admire the most about Assaulted Fish? I really admire their precision – they are so incredibly well-rehearsed that there’s never a single movement or word wasted, and yet it always looks completely natural and organic. Also, they are true masters of using silence in their sketches. As a contrast, PFP’s comedy style is pretty frenetic, packed boom-boom-boom with jokes, and lots of running around and falling down. But the Fishies know just how to use silence and stillness to punch up the absurdity in the situation. It tears you up a little inside while it also making you laugh. It’s kind of an amazing super power, actually. What are some of your favorite Assaulted Fish sketches/characters and why? This was such a tough question, because I was thinking “Oh, the beat poem about death!”, and then “No, Sanitizer!”, and then “Oh no, Queen of Burnaby!” But I’m gonna go way back and pick their modern dance masterpiece “Lychee” featuring Diana as the little fruit. They did that sketch in Seattle for a late night SketchFest show back years ago when we were just starting to get to know each other, and I nearly wet my pants laughing. That’s right. It was so funny that it almost caused spontaneous adult urination. When some of the Fishies stay overnight at your place for their Seattle gigs, do they leave behind a Canuck smell? Oh yes. They’re like a maple-glazed donut air freshener. Mmmm donuts. *Maggie wishes to make it clear that she was dressed this way for an 80s themed sketch show. This not repeat NOT her regular attire. That is all. This entry was posted on September 7, 2013 by assaultedfish. It was filed under 10th anniversary and was tagged with Interview, maggie lee, pork filled players.